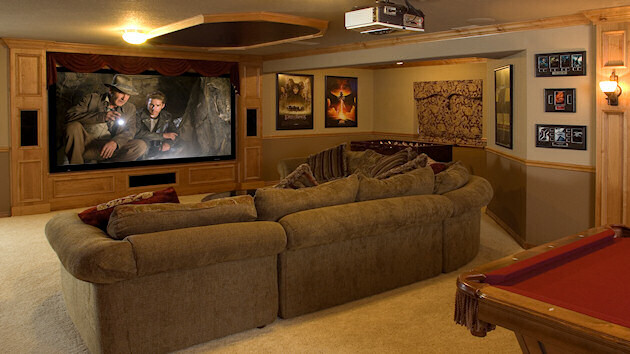 Planning a new home theater? Let our experts help you design the perfect entertainment room. Finding the right equipment is only the beginning, and even that isn't as easy as it may seem. For example, different manufacturer's specs are rarely based on the same criteria and aren't necessarily suitable for side-by-side comparison. So how then do you determine what's the best for you? That's where we come in. We've evaluated hundreds of A/V and home theater components and promise to give you an honest and accurate representation of each item and how they compare. In addition, there are a number of not-so-obvious issues to consider when you're building a theater. For example, where's the best place to put your surround speakers? What's the proper seating distance for your screen size? What types of cables need to be run? What kind of lighting control do you need? And what may work for one theater rarely works for another. We'll work with you to apply the principles of sound theater design to your environment. Please give us the opportunity to save you from these and other potential mistakes. Best of all, we include our world-class design services in every system we offer.